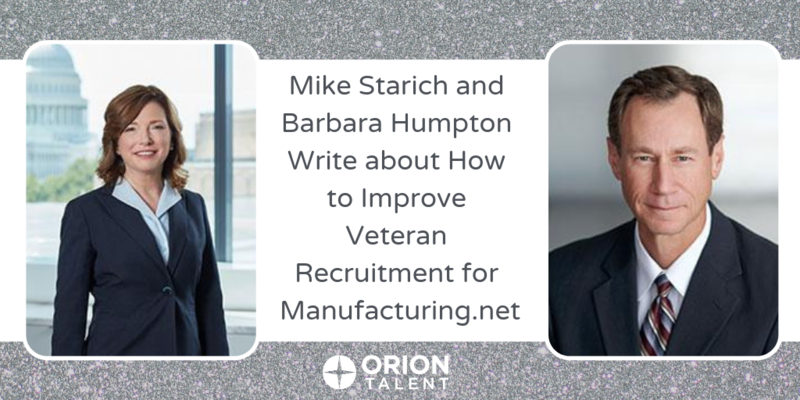 Manufacturing.net recently featured an article co-authored by Mike Starich, CEO of Orion Talent, and Barbara Humpton, CEO of Siemens USA, titled “Accelerating and Improving Veteran Hiring.” Starich and Humpton are well suited to this topic as both practitioners and thought leaders in the field of veteran recruiting. The reasons to hire veterans are myriad. 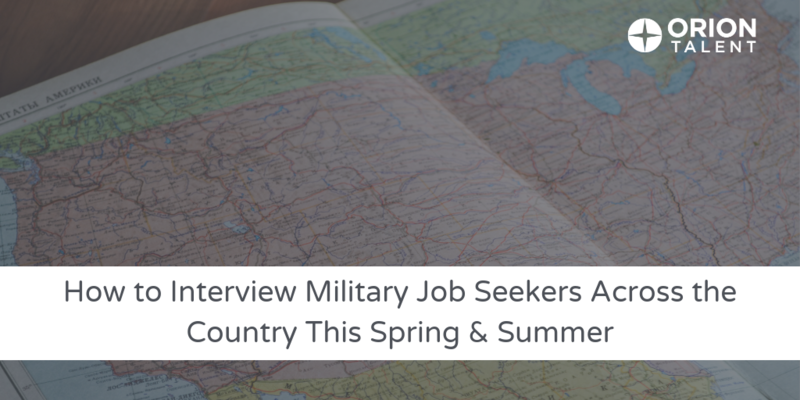 As Humpton and Starich point out, Orion Talent’s recent Veteran Hiring Survey: Exploring the Bottom-line Value of Hiring Veteran Talent, revealed that once companies are introduced to veterans, they are quick to engage. 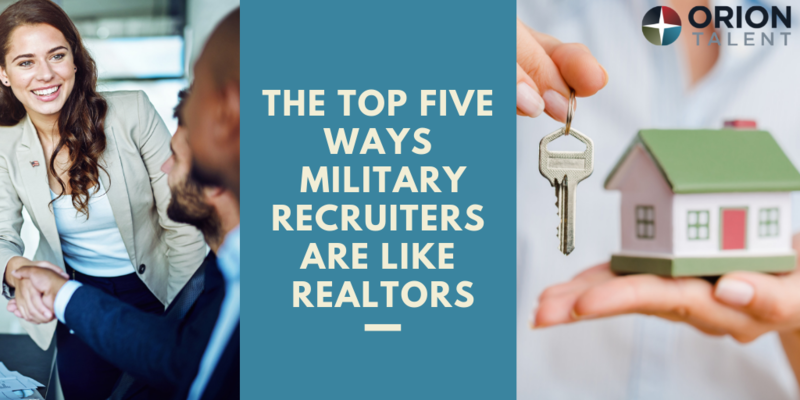 Additionally, interview-to-hire ratios, job acceptance, and retention rates are higher among veterans, which are important considerations in a market struggling with the tightest labor market in years. So how do you successfully hire and retain veterans? Siemens USA has built a strong veteran hiring program that helps fight attrition due to workforce aging, and onboards technologically savvy veterans into STEM careers. 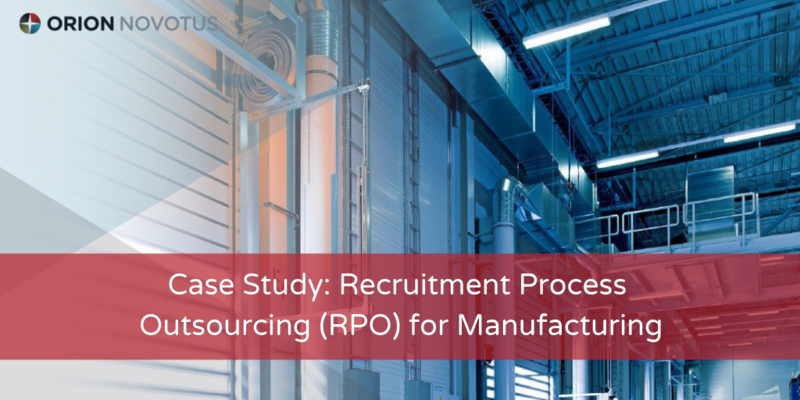 Working with Orion Talent, Siemens standardized and streamlined their veteran hiring through targeted, proactive hiring, highlighting their military friendly brand. Since the program began in 2010, Siemens has hired more than 2,500 veterans across its business units. However, if a standardized program isn't in your company's future, there are still plenty of ways to improve. 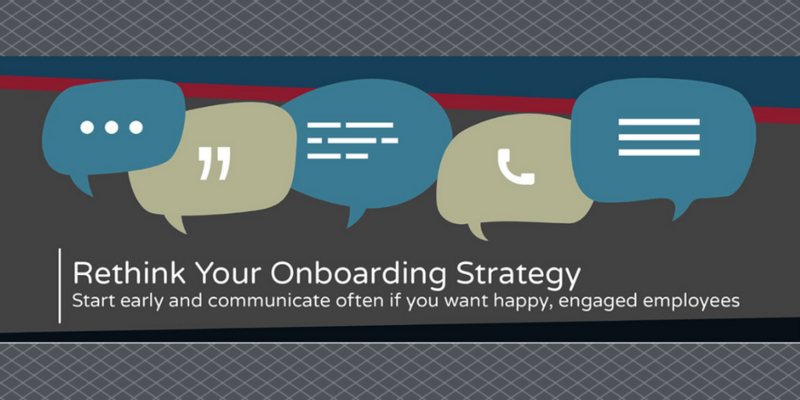 From engaging veteran employees to utilizing online resources, Humpton and Starich detail five ways to get started. As is clear in the article, veterans are a powerful addition to the civilian workplace. 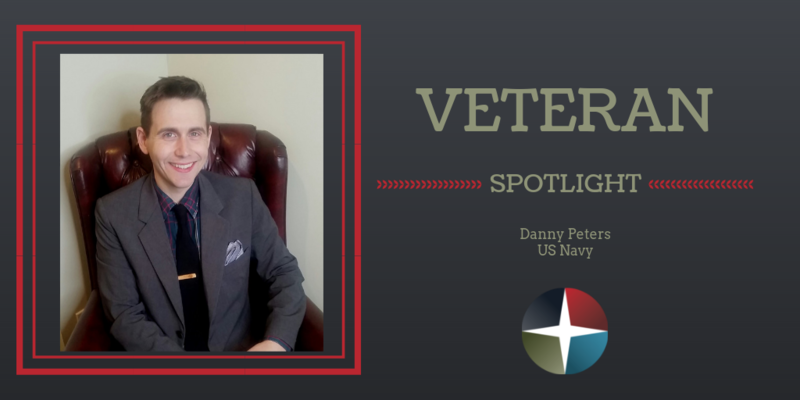 Read the full article now to tap into the expertise of both Humpton and Starich to accelerate your veteran hiring. 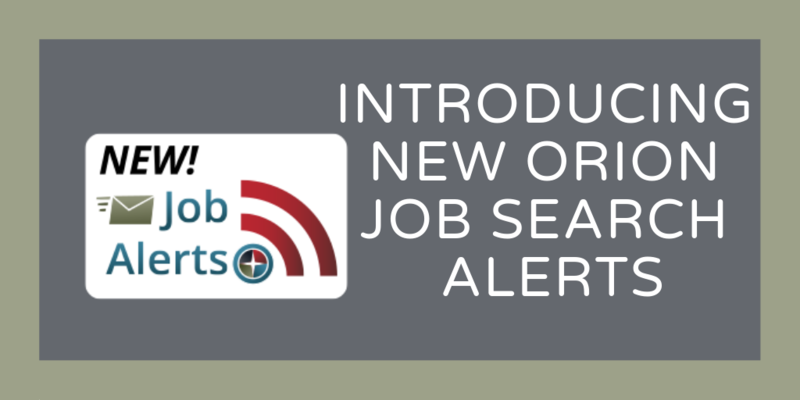 Introducing New Orion Job Search Alerts!